Sauce- broths both cook and impart flavor over a cooking period, and beverages typically don’t have solids in them. @Captain Anderson, what about ice? @Captain Anderson, sauces cover foods or are used as dips. Think pizza sauce, Alfredo sauce etc. They are not something that food is meant to lay in. Rather it is a broth, just like soup is IN a broth, cereal Is IN milk. Obviously not a beverage though since you eat it. 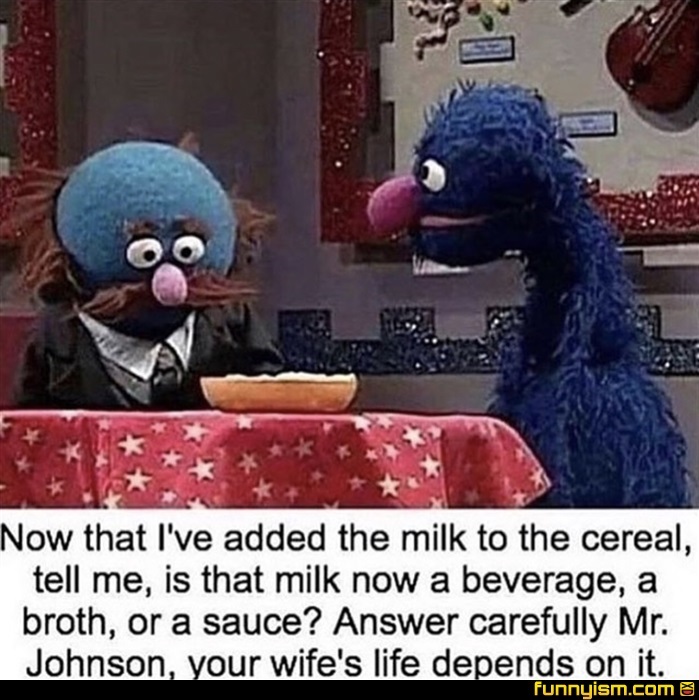 Also milk adds the flavor of milk to your cereal. @Captain Anderson, but vomit has some semi solids and it’s a beverage.